Then in several generations living on welfare, each Haitian will have eight to twenty children and suddenly there will be enough Haitains to hack the Chilean Whites to death like they did back in Haiti. “We took the White man’s wealth, we took his things, now all gone” said Otombo. A country built mostly on white migration from Europe seems like an unlikely landing spot for Haitians. Yet nearly 105,000 flocked here in the last year — the equivalent of 1 percent of Haiti’s population — according to Chile’s border police. And hundreds continue to arrive daily, fearful that they may no longer be welcomed when a new Chilean government takes office on March 11. The exodus is being driven by the French and Creole-speaking nation’s young people, both educated and uneducated, and particularly the rural poor. Mostly male, between the ages of 15 and 44, this group of migrants is propelled by a growing sense of hopelessness about what the future holds in Haiti. And they’re part of a global migration trend of working-age people seeking a new start in higher-income countries, according to the United Nation’s International Organization for Migration. 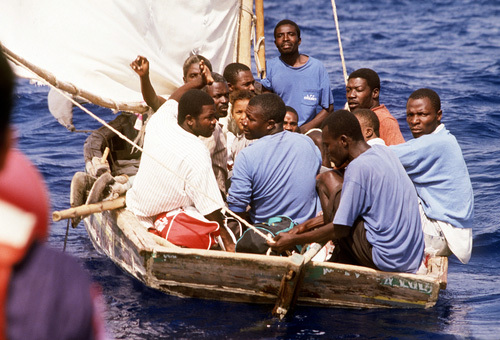 In the case of Haiti, a series of natural disasters in the Caribbean nation coupled with a stagnant economy, and the imposition of harsher immigration policies in the U.S., the Dominican Republic and other traditional destinations, have fueled the shift in Haitian migration patterns to Latin America. Chile, with its stable economy, is increasingly replacing the U.S. as a promising destination for young Haitians. Five years ago, opportunities in Chile were more plentiful. There were fewer Haitians, and Chile’s economy was stronger. Now, Haitians face the shock of a new culture, competition from an increasing number of Spanish-speaking migrants from Venezuela, and a sense that they aren’t always welcome. Employers abuse and underpay them. Landlords crowd them into overpriced, closet-sized rooms. Scam artists try to sell them useless work contracts that could put them on the wrong side of the law. Misled about the golden prospects in Chile, many struggle against loneliness, occasional episodes of racism and resentment from some Chileans. Recently, a fight erupted in Estación Central between Chileans and unauthorized Haitian street vendors selling a popular chocolate-covered cookie called Super 8. The fight with sticks and fists was captured on video. Even migrants who have found acceptance and a permanent home in Chile say the country is struggling to assimilate the Caribbean arrivals. Haitians starting trickling into Chile after Chilean troops were stationed in Haiti as part of a United Nations peacekeeping force in 2004 to stabilize the country after the bloody ouster of President Jean-Bertrand Aristide. 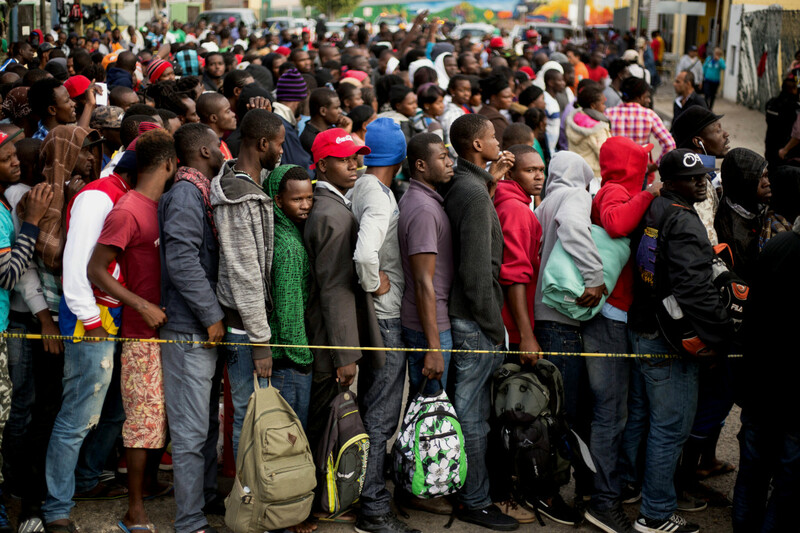 With every new Haitian political and economic crisis since, a new wave of people has shown up, making Haitians the fastest growing migrant community along with Venezuelans. As a result, Haitians have become a flashpoint in a debate over migration and Chile’s immigration law that allows individuals to enter as tourists for up to 90 days and later apply for work visas and residency. In 2010, there were 81 requests for permanent residency, but in 2016, that number had risen to 3,646, according to Social Development Minister Marcos Barraza. Work visa requests, too, have soared — from 8,429 in 2015 to 35,277 a year later. And Haitians in Chile are increasingly wiring money home. Chile’s Central Bank said Haitians sent back $36 million in 2016 — five times more than they did in 2015. In the Santiago metropolitan area, where most people are white, Haitians are a small but noticeable population. They’re on street corners selling everything from ice cream to tennis shoes, driving Ubers with small Haitian flags dangling above the dashboard, or hanging out in the Plaza de Armas, the main public square, where the free Wi-Fi allows them to speak their native Creole as they call friends and family. Farther north along bustling San Luis Avenue in the Quilicura district near the airport, restaurants advertise Haitian food alongside Chilean cuisine, a corner store flies a large red-and-blue Haitian flag, and sellers at a local street market woo shoppers in Creole-accented Spanish marked by Chilean expressions. A 2017 survey by Chile’s National Institute of Human Rights found that 68 percent of Chileans want stricter immigration controls. Also, while many view migrants as “good workers,” about 47 percent believe they are taking jobs from Chileans. 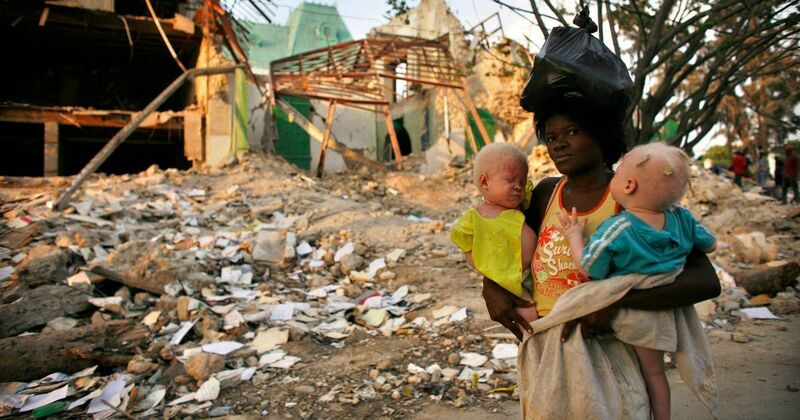 And nearly 25 percent surveyed in the metropolitan area believe that Haitians are “dirtier” than Chileans are. Next Next post: Honey Boo Boo Looks Like Model Now!